Instagram Stories is a part of Instagram which is constantly and rapidly changing. Every now and then Instagram users can take advantage of new features which are being released and introduced. With every update, Instagram is uploading its own Instagram Story showing the new feature and possible ways of using it. 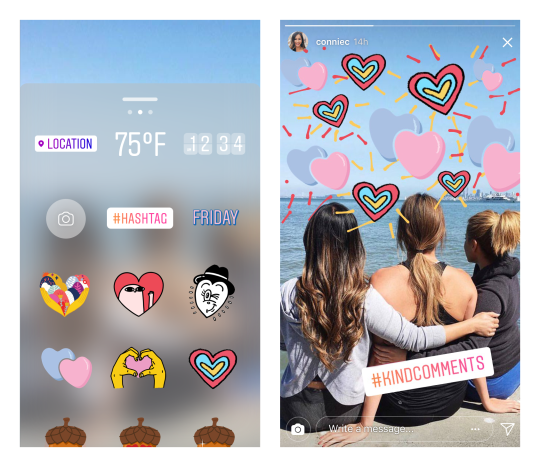 All of the features, like filters and stickers, are exactly what you need to create engaging and interesting Instagram Story! 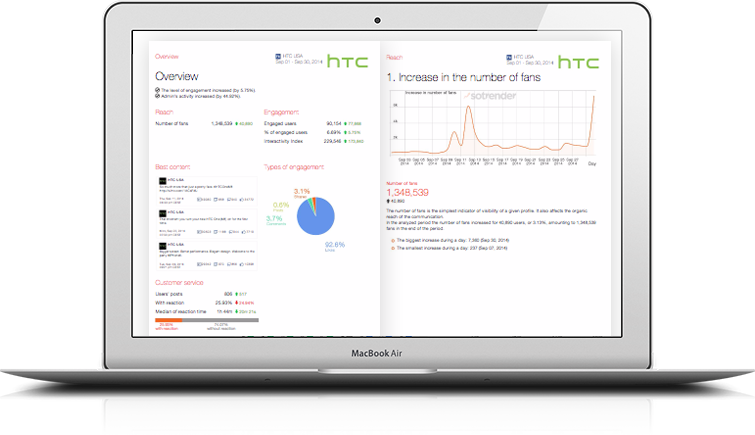 In this article, you will find a little summary of currently available features. live transmission (which now can be also saved and shared). Face filters – bunny, dog or kitten ears, sleepy face, crown and many more filters are available to experiment with! Hashtag sticker – which is active; after you tap it, it will redirect you to hashtag feed used in your story. Selfie sticker – when you tap this option a camera will open and you’ll be able to do a selfie (only a selfie!) and adjust it to the rest of the content on the photo/ video. Adding location (geotagging) – which is also active. Normal text – which can have various colours, sizes and placements. Various stickers – some of them are permanent, while some of them are changing and being adjusted to fit real time events or seasons (in summer there were drinks and flip flops, in autumn falling leaves and cup of tea). Adding a link (however this feature is in the testing stage and it’s now available only for verified profiles). Temperature, hour and day sticker – from when and where the picture/video was taken. When you tap each of these stickers other visual variations will appear. Pen/ pencil – you can draw anything you can think of, with many colours and sizes of the pencil available. Eraser – if you change your mind and decide that you don’t like what you drew before, you can simply erase it or use the feature in some more creative ways. Polls – you can ask people a question with two options to chose from – both you and people who answered it will see the results. Pools are a great way to interact with your audience and engage them more in what you do. Almost all the features can be tested and are easily reversible while creating an Instagram story simply by swiping them down to the bottom of your screen. Also almost all of them can be enlarged or can be made smaller simply by pinching or expanding them with two fingers. The alignment tool (blue lines) will appear when you’ll start replacing and positioning a sticker or a text to avoid randomness. You can also create an Instagram Story with the entire screen having one colour (e.g. green or yellow). To do so tap the pen feature -> pick a colour -> tap selected colour -> use a long-press (approx. 3 seconds) on the screen. Voila! You can even reply to other people’s stories (if the profile has turned on the option for others to reply to it) – at the bottom of each Instagram story you’ll see ‘write a message’ line, simply type your message there. You can select any colour from the picture you want to post! To do so: tap the pen -> at the bottom on the right (next to all of the colours available) you will see a new icon (eyedropper) -> tap any colour on the picture -> use the colour! Ready Instagram stories may be sent to all your followers, a group of people or a selected single person. You can also hide stories from specific people (you can change that in the options of your Instagram Story). Features available in Instagram Stories offer a very wide range of various options to choose from while creating your own Story. This is how you can easily update your followers with something funny, entertaining or non-standard. And creating an interesting and creative Story has never been as easy as it is now! Let’s take advantage of that!